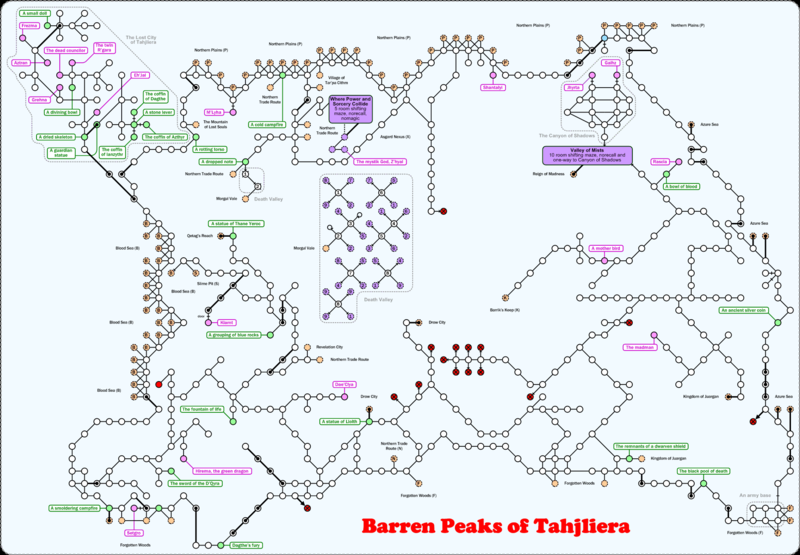 The Barren Peaks of Tahjliera, a strange and scary area. Several strong mobs wander around the area, don't try to pick up Dagthe's fury unless you want to get into a big fight. Watch out for those DTs. Walk ( nw, 2w, 4n, e, look painting, open n, n, 28w, 3s ) to get from DH to the room marked in light blue.